Welcome To Artificial Limbs Cape Town area. We pride ourselves in providing a complete and professional service of the highest quality, taking into consideration each patient’s lifestyle, individual needs and requirements. Whether a patient requires a basic low budget or a top of the range prosthesis, our aim remains the same: to afford our patients an improved and comfortable quality of life. Although José’s passion is custom-made silicone prostheses and epitheses he also specializes in both upper and lower extremity prostheses. In addition we offer a comprehensive product range in the field of Orthotics and Prosthetics, and specialize in custom-made arch supports for athletes and diabetic patients. 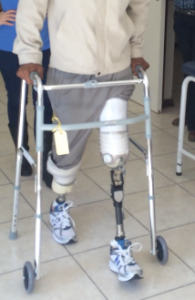 Contact Artificial Limbs Cape Town area for more! The Orthotist designs orthoses for patients requiring protective or support or correction due to muscle/bone impairment, disease, deformity or injury. This is done to restore mobility and prevent or limit disability.Sportsmen and women often also benefit from orthoses and our practice specialize in corrective and sports foot orthotics in particular. To determine the appropriate orthotic for a patient involves considering a range of options, including diagnosis, range of motion, strength, tone, cognition, dexterity, compliance sensation, edema, gait pattern and pain. It is therefore our main concern to take into account each patient’s individual needs accommodate him/her accordingly. 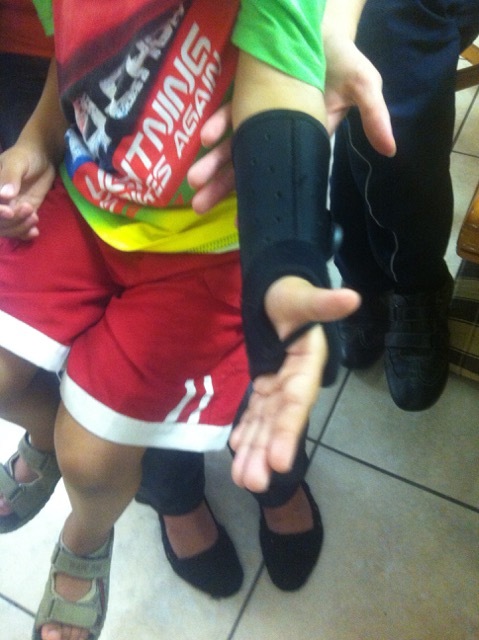 The Orthotist will assess and measure the patient depending on the specific case either supply an off the shelf orthosis or custom manufacture the orthosis to specifications, and the patient will be educated its use and care. 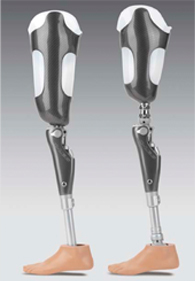 The Prosthetist evaluates designs and fabricates artificial limbs or prostheses. Limb loss might have occurred as result of an accident, diabetes or congenital disorders, and a prosthesis will assist in the effort to restore mobility and function, thus enhancing quality of and maximum independence. The prosthetist will work with the patient to design and select a prosthesis to best suit his/her needs, taking into consideration different aspects of the patient’s lifestyle and personal requirements. There are several different options available and these will all be discussed with the patient. One of the options might be silicon suspension prosthesis. 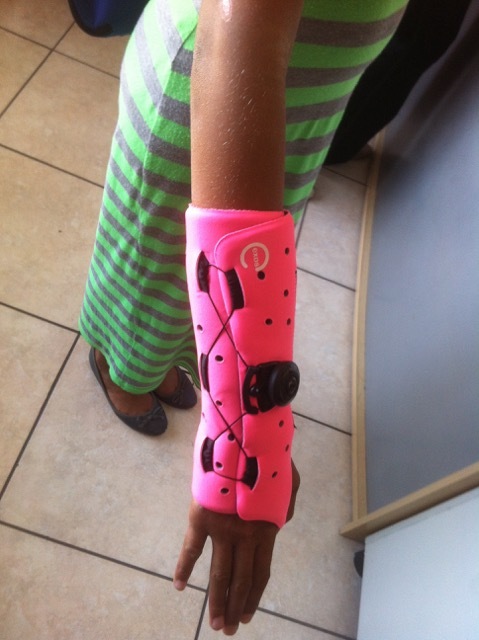 We are one of the few practices in South Africa which can provide a custom made silicon sleeve for this type of prosthesis. Measurements of the residual limb are recorded and a plaster cast taken. 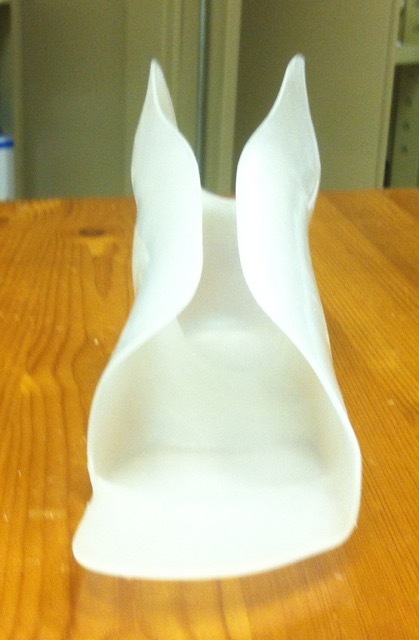 Using the plaster cast as a model, a diagnostic / test socket will be manufactured. This is done to rule out any possible discomfort or pain which may result from pressure points, and to ensure a proper fit. Should any discomfort or pain be experienced the necessary alterations will be done at this stage and the actual manufacturing process can begin. 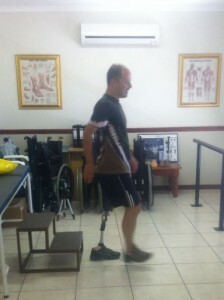 At the final fitting the prosthesis will be aligned and the final touches will be made. 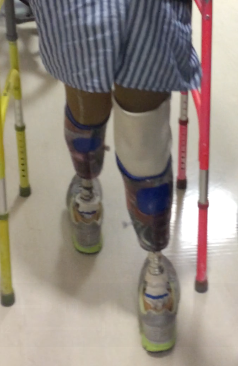 The patient will be educated in the use and care of the prosthesis and in the case of a lower extremity prosthesis some gait training will be provided. 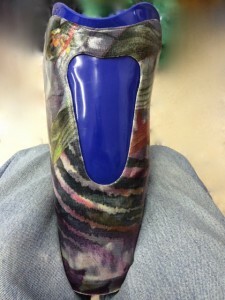 Silicon Prostheses: We pride ourselves in creating state of the art Aesthetic Silicon Prostheses custom fabricated from a special blend of silicone polymers which offers flexibility, patient comfort, and durability and which restores not only appearance, but also part of the function of the missing body part. Understanding the deep emotional trauma that is caused by losing a body part, we strive to restore the appearance of the missing part significantly so that it is virtually unnoticeable without close examination. Why Silicone? Silicone is one of the few materials which is well tolerated by the human body and, therefore, rarely incites dermatological reactions. It is also resistant to high and low temperatures and the effects of the sun. Furthermore, silicone is stain resistant and durable and has a very natural and life like appearance due to intrinsic and extrinsic colouration to match the patient’s natural skin tone. The suppleness of the material allows for a precise suction fit, and due to its flexibility, permits good range of motion of the remaining body parts. Sensitive areas can be relieved by incorporating softer silicone into the internal surface of the socket. These characteristics provide functional and psychological benefits to the patient as a life like appearance is crucial to successful rehabilitation. 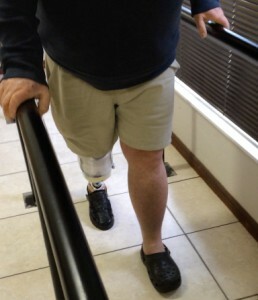 A person who feels comfortable with a realistic prosthesis can use it to its full potential. Manufacturing: Every custom made silicone prosthesis, is sculpted in wax over a stone duplicate of the missing body part, which has been reduced and adjusted to provide a perfect fit. Then, though high density casting of the opposing body part, a….. Colouration: Colours are carefully matched to the patient’s skin tones and applied to the interior of the prosthesis successive layers. Extrinsic colouration may be used in conjunction with this method, depending on the specific case. Then, through high density casting of the opposing body part, positive model including all 3 dimensional details such as wrinkles, veins as well as the interior socket, is produced to achieve an exact match to the detail of that particular section. Nails: Fingernails are fabricated separately using either silicone or acrylics (depending on the patient’s preference) and have the same translucent qualities as the silicone. The nails are individually coloured before being applied to the finger/s so they can match almost perfectly. Any nail polish can be applied and removed with an acetone free polish remover, without being damaged. 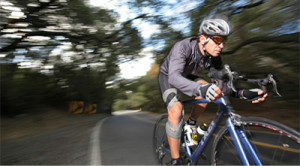 Attaches with adhesives but implants such as osseo-integrated titanium implants may be used. Orthotic prescription directly from the dynamic functioning of the foot. Patient details and records are stored in a database and all recorded trials are dated to allow easy comparison of new and previous measurements to monitor progress over time. The footwork software revolutionises the orthotic prescription process by using the patient’s orthotic to stabilise and correct any abnormalities associated with foot mechanics during its dynamic functioning. It will suggest the ideal insole for the patient. The insole are available in 3/4 and full length versions. Variance in arch height and heel motion is accommodated and biomechanical correction suggested by footscan software can be applied by the production team. Initial measurements provide early indication of biomechanical indication of the foot. The advanced software allows automatic division of the foot into specific regions. This allows force and pressure distribution within these areas to be analysed and associated with certain foot mechanics and functions. Analysis of the gait cycle and associated timings can provide valuable information when assessing a patient. Advanced calculations use dynamic data to assess the distribution of forces at key times during the stance phase. This allows the correct orthotic to be described to balance discrepencies in foot mechanics that occur during the gait cycle. This is a fully interactive tool where adjustments can be made to the proposed prescription if the orthotist feels that specific case require slight adjustments. 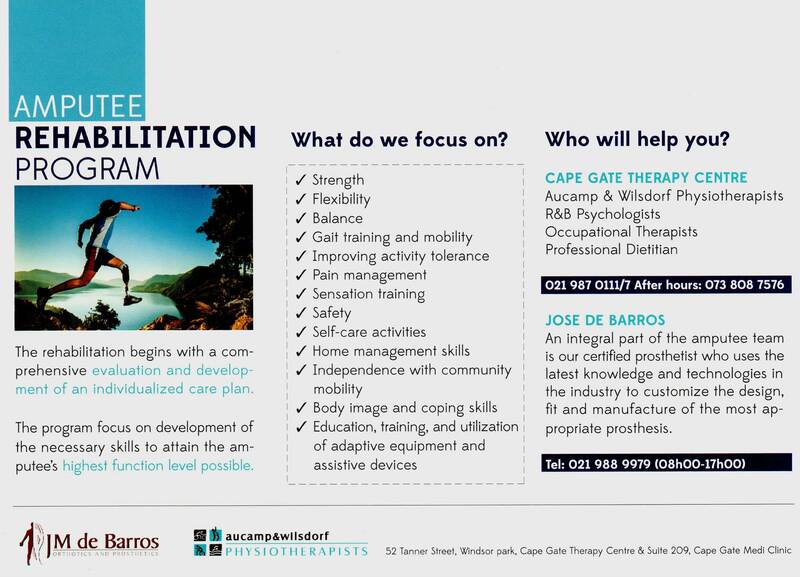 Please contact Artificial Limbs Cape Town based for more information!